Ukraine is using the conflict in the country to position itself diplomatically and politically: as a way to gain sympathy, support, and money and to reposition itself with the new US government, said Brian Becker, coordinator of anti-war ANSWER coalition. In recent days, the situation has been escalating throughout the Donetsk region with Kiev's troops saying they're only retaliating to aggression from anti-government forces. 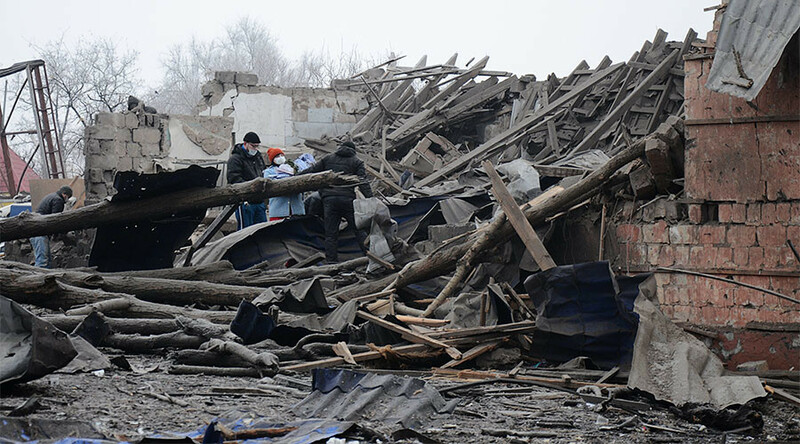 The village of Avdeevka, which is meant to be a ‘no heavy weapons zone’ under the Minsk peace agreement, has suffered heavy shelling in the past few days resulting in some soldier and civilian deaths. UNICEF reported over 17,000 people there were without electricity or water. A BBC correspondent filmed tanks and posted a video on his twitter account. During a UN meeting, Ukraine's ambassador said the only aim of Kiev's sudden offensive is to bring peace. The Ukrainian ambassador's comments were met with harsh words from Russia's envoy to the UN. Vitaly Churkin said Kiev is on "a warpath" and is trying to undermine the Minsk peace agreements completely. The Russian president has branded the current escalation in Eastern Ukraine a 'provocation' by the Kiev authorities. His words came during a joint news conference with the Hungarian prime minister after their meeting. RT: Locals say the situation was fairly calm in Donbass before Friday when the escalation started. What could have provoked it? Brian Becker: I think the Poroshenko government is trying to initiate new conflict in the eastern part of Ukraine in order to draw sympathy for its struggle, especially after the inauguration of the new US President, Donald Trump. In other words, the government itself has instigated a new round of conflict, violating the Minsk agreement, really for political purposes and to reposition itself in relationship to the incoming US government. RT: A representative of the OSCE mission to Ukraine confirmed Ukrainian tanks entered the town of Avdeevka, in a demilitarized zone determined by the Minsk agreements. 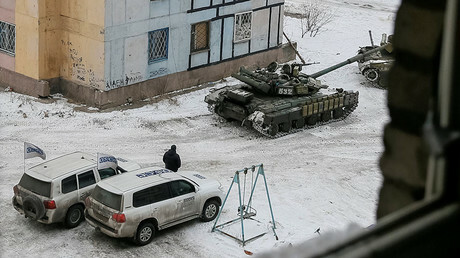 Why is Ukraine apparently trying to find a military solution to the conflict? BB: There is no military solution to the conflict. The government in Kiev is using military means - including the cost of many lives of those who are killed, both those who are injured, those who are displaced - not to win, not to carry out a military victory, that is not achievable, but in order to position itself diplomatically and politically. So, in other words, it is using the conflict itself as a way to get attention for itself, as a way to gain sympathy, as a way to improve its leverage in its own negotiating position as the new administration in Washington comes into power and has to recalibrate US foreign policy toward Russia, which means most of all recalibrating US policy toward Ukraine. RT: Who do you think profits from this long-lasting conflict in Donbass? BB: Clearly, the illegitimate Poroshenko government gains to the extent that conflict gets drawn out, to the extent that the government in Ukraine tries to draw Western sympathy, support, and money. Poroshenko, whose reign in office has been a miserable disaster, believes that this will be a card that he can play, something that will gain advantage for the government. The big losers, though, the people who are living in the eastern and southern part of Ukraine who are being subjugated to a new conflict. These are people who are trying to raise their families, send their children to school, and lead normal lives. They are again a pawn on somebody else’s chess board. We have the Poroshenko government trying to position itself as the grand victim in order to appeal to the EU. Of course, Ukraine economically is a basket case; the government has no policies that will really meet the needs of the people… so it acts the victim to gain additional funds and support from the EU.